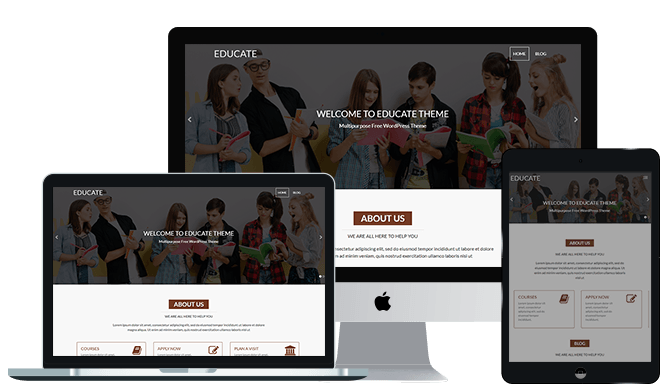 Educate WordPress theme is developed mainly for colleges, Schools, universities, LMS, Training Centers, Academies, Primary Schools, High Schools, Kindergartens and various other type of educational websites. Educate can even be used for websites representing tuition classes, coaching classes, personal websites etc too. 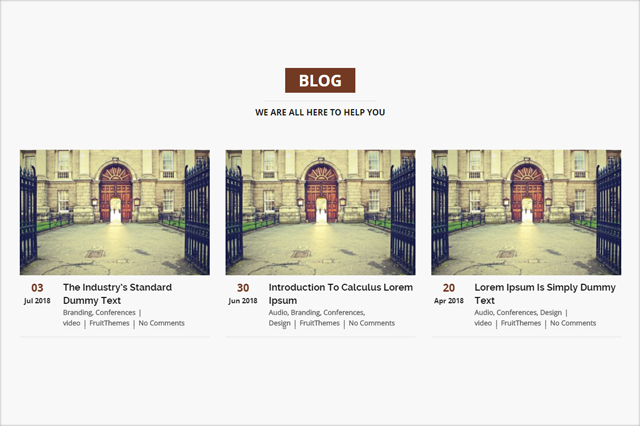 Mobile responsive slider with the transparent header. Features section to showcase your services or special features. 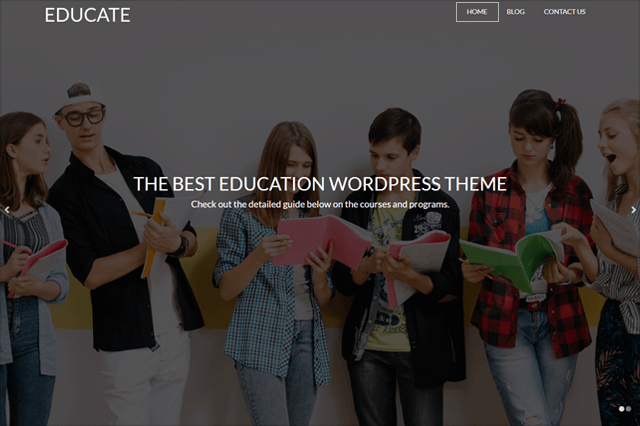 Educate is fully customizable through WordPress customizer area. 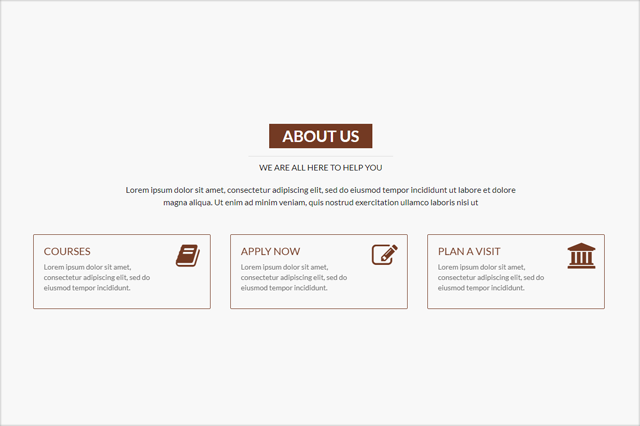 You can easily change logo, slider section, about us etc sections. 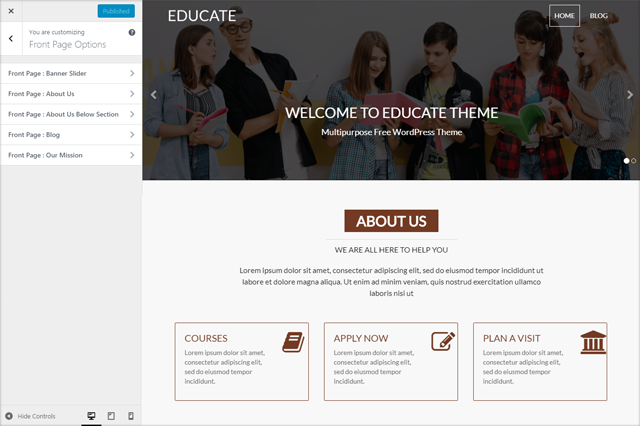 Educate theme is easily manageable by customizer options. Step by step documentation and dummy data is available so that you can quickly deploy your website like the Educate theme demo. Educate is SEO optimized hence it helps your website reaching TOP ranks in Google search results. Educate is 100% mobile responsive so your website will look impressive in desktops, laptops, iPads and mobile screens.